If your product or service is better personified by vivid photos, rather than plain words, there is a advantageous social network that you should not ignore; Instagram. So, what’s so great about Instagram? This photo based network is paired with the supremely popular social giant, Facebook. Meaning you can get more bang for your buck when you choose to advertise on both platforms simultaneously. Trust us, we know as business owners what you decide to spend your marketing budget on is important. This rapidly growing platform represents a huge opportunity for marketers looking to reach adults under age 45. The network has been a hit with key demographics and it’s set to grow even more in the near future. 1. Instagram is Already a Social Star! With over 500 million active accounts, IG users post more than 80 million photos each day. The social media platform radiates a mass appeal because users communicate with pictures and there is less focus on text. Something you might not know about IG: In 2012 Facebook bought the network when it had only 30 million fans & for cool $1 billion. Instagram’s user base has skyrocketed 4x in just the last two years and is set to grow by another 16% next year. By 2019, nearly ⅓ of the United States will be posting photos on Instagram. Something you might not know about IG: The platform has already has more active users than Twitter, Pinterest and Snapchat. Most of Instagram’s users are under the age of 29 (53%). Users on the network are very travel and fitness oriented; there are 100’s of millions of photos being tagged with #fitness or #travel. Something you might not know about Instagram: Photos tagged with a location have 79% higher engagement versus those that are not. Not only does Instagram have a lot of users, it also has a lot of highly engaged users. Over half (60%) of users check the platform daily and the average brand post gets 120X more interactions compared with Twitter. Using hashtags ( # ) will also boost interactions. Something you may not know about IG: Photos with 11 or more hashtags received 80% engagement vs photos with 10 or less tags receiving as little as 22%. 100% of Instagram users have a mobile device. The highly visual social network is also staying on top of trends such as introducing new curation tools, Instagram Stories, expanded messaging capabilities, and giving users the option to create business/brand accounts. The future is bright for this network and they are perfectly positioned to continue dominating the social scene. Something you may not know about Instagram: Advertising revenue is expected to bring $2.81 BILLION into the company by 2017. 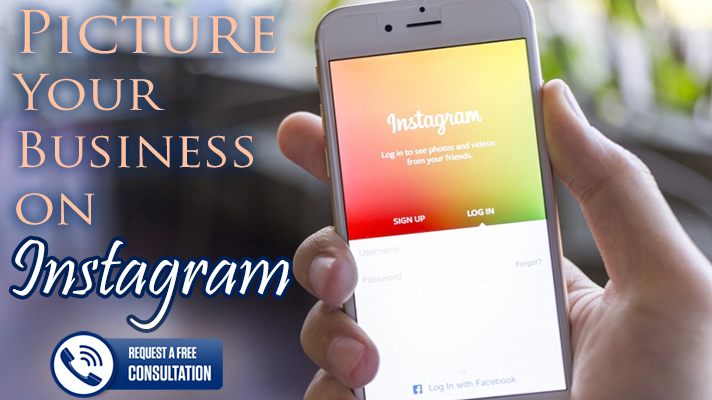 Ready to picture your business on Instagram? Click Here to Contact Us!